Hot Wheels and Glue Guns- Custom and On Site Scrapbooks! : 100 Days of Happy! 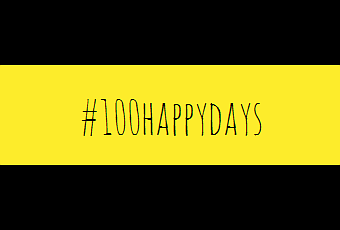 Just popping in to share that I am joining the 100 Days of Happy Challenge, inspired by the folks at A Beautiful Mess. The idea to share a picture a day for 100 days of what makes you happy. Sounds very inspiring to me! Follow me on Instagram and I will follow back! Leave me a comment below so we can all follow each other! I'll be back tomorrow to share a few Easter idea I cooked up this weekend, make sure to come back!